^ Coalition Provisional Authority, South-Central Region United Nations 2003 population estimate. [November 27, 2008]. （原始内容存档于2009年12月30日）. ^ Al-Jahiz messages, Alwarraq edition, page 188; Yāqūt, Irshād al-arīb ilá ma`rifat al-adīb, ed. Iḥsān `Abbās, 7 vols (Beirut: Dār al-Gharb al-Islāmī, 1993), 5:2102. ^ Rudi Matthee. Between Arabs, Turks and Iranians: The Town of Basra, 1600-1700. Bulletin of the School of Oriental and African Studies, University of London. 2006, 69. doi:10.1017/s0041977x06000036. ^ A. J. Barker. 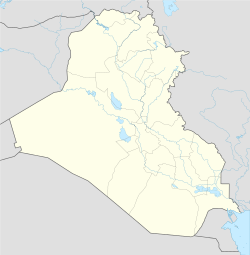 The First Iraq War, 1914–1918, Britain's Mesopotamian Campaign. New York: Enigma. 2009: 26. ^ UK troops return Basra to Iraqis. BBC News. 16 December 2007 [1 January 2010]. ^ Glanz, James. Iraqi Army’s Assault on Militias in Basra Stalls. New York Times. 27 March 2008 [27 March 2008]. （原始内容存档于26 March 2008）. ^ Sinan Salaheddin. Iraq Records Hottest Day So Far This Year in Basra City. Associated Press. Jul 23, 2016 [2016-08-05]. ^ Climate: Basra - Climate graph, Temperature graph, Climate table. Climate-Data.org. [22 August 2013]. ^ Basra Climate and Weather Averages, Iraq. Weather2Travel. [22 August 2013]. ^ MMPW. محافظة البصرة（巴士拉省）. http://www.mmpw.gov.iq/. [2016-08-05]. （原始内容存档于2016-04-19）. ^ Julie Abadirad. Where Are The Mandaeans. http://www.mandaeanunion.org/. [2016-08-05]. ^ Twin-cities of Azerbaijan. Azerbaijans.com. [2013-08-09]. ^ Houston City Council unanimously approves Sister City Agreement between Houston, Texas and Basrah, Iraq. http://www.iraqiembassy.us/. [2016-08-05]. （原始内容存档于2015-09-06）.